mowers. However, just because there isn’t any salt on the road doesn’t mean your snow plow isn’t still at risk for corrosion. Heat, humidity, and condensation can all take a toll on your plow. Along with the demanding winter we just experienced, your plow could either have corrosion damage now, or could be especially prone to it in these upcoming months. Corrosion, if not properly dealt with, can result in some big problems. Luckily, there are a few simple steps you can take to help prevent the harm caused by corrosion. A snow plow is an investment and a key tool in being able to service your snow removal accounts. With that in mind, certain precautionary steps should be taken to reduce the risk of your plow being stolen. While there isn’t a 100% theft guarantee on any particular method, taking these simple security measures, your snow plow will be much more equipped to thwart anyone who might want to steal it. The trees are budding and the threat of accumulating snow is now behind us. For many snow plowing professionals this means it’s time to shift from snow removal to lawn care – from snow plow to lawn mower. When checking off the storage of your snow plow from your spring “to do” list you will want to keep these common mistakes in mind and avoid them when preparing your snow plow for storage. If a plow has been submerged in flood waters it doesn't necessarily mean that it is no longer functional. Snow plows are designed for an environment based on moisture. Because of this, the majority of components can handle direct contact with water. If your snow plow has been submerged because of a flood or other unfortunate event, consider the advice below. On every snowplow, there will be general wear items that need to be replaced from time to time. One of those items, is the cutting edges on your snowplow. The lifecycle of a snowplow cutting edge varies depending on the amount of time the plow is used, the type and condition of the ground surface and the material grade of the cutting edge. 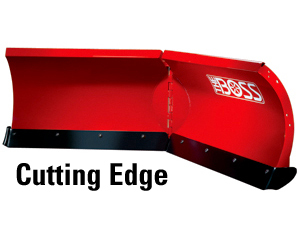 In general, a cutting edge needs replacing before the plow frame is exposed or rubbing occurs on the moldboard. 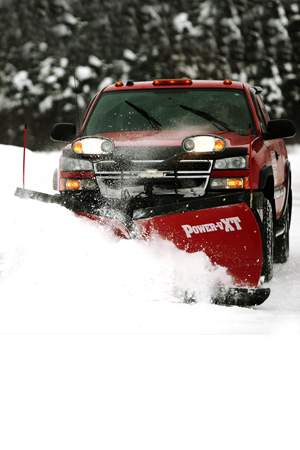 Visibility is a key element in snow plowing for both safety and efficiency reasons. As a result, many snow plow professionals choose to install a snow plow deflector on their BOSS Snowplow. The rubber snow deflector increases visibility and safety by keeping blowing snow off the windshield making it easier to get the job done faster. 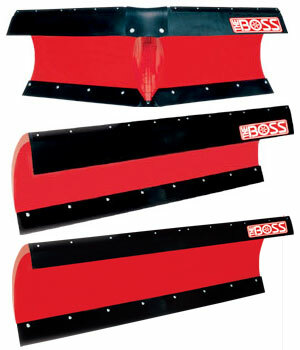 Your BOSS PLOW is designed for heavy-duty, rugged service with minimal maintenance. 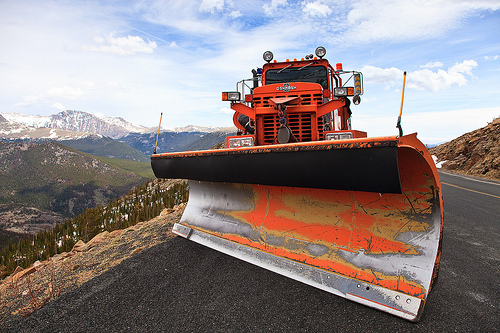 To ensure that it gives you the same high performance year after year, preparing your snowplow for storage over the summer months will extend the life of your BOSS snowplow. For those of you new to the electrical system of your snowplow, you may have wondered how to go about testing and troubleshooting various components of the plow system. 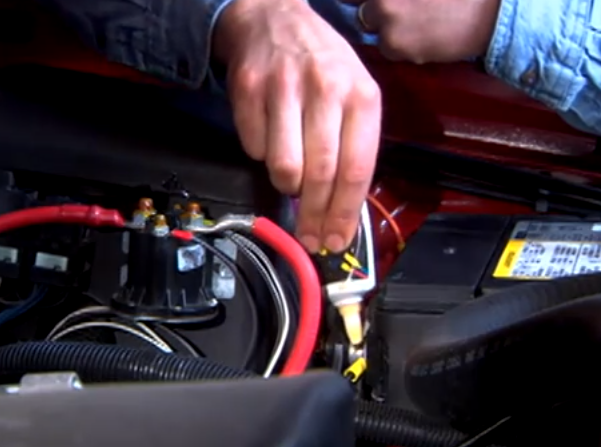 Maybe you have wanted to check the number of volts the power unit is drawing or test the wiring of a used harness or headlight adapter. 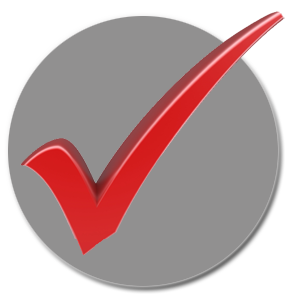 It's possible that you may want to check the solenoid or simply check the power/ground on a relay or coil. 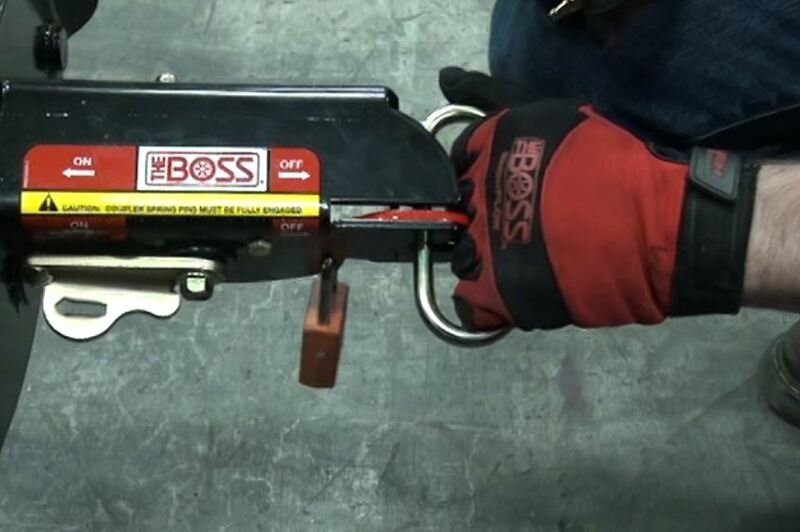 Whatever the case may be, the following video will walk you thru some of the basic electrical tools that you can use when troubleshooting your snowplows electrical system. One of the most common vehicle problems encountered while plowing is damage to the transmission. Overheating the transmission fluid as well as improper use, can contribute to the problem. Keep the following tips in mind when heading out on your next snow plowing run to minimize damage to your plow truck's transmission.